Access Morningstar's approach to dividend investing from anywhere with the new Morningstar® DividendInvestorSM for iPad®. 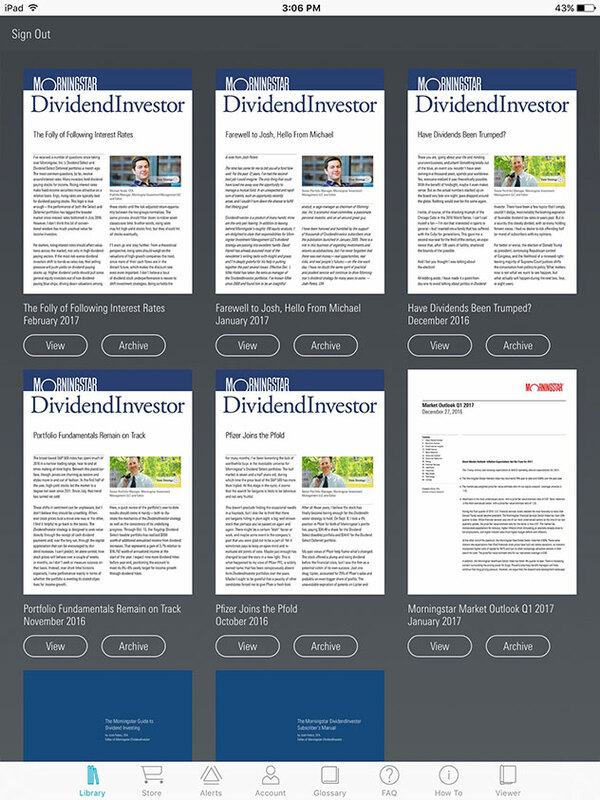 The DividendInvestor iPad app is designed to help investors research high-quality stocks that tend to pay large, reliable, and growing cash dividends by providing current data, trade notifications, and news regarding the holdings in Morningstar, Inc.’s Dividend Select Portfolios in one spot. 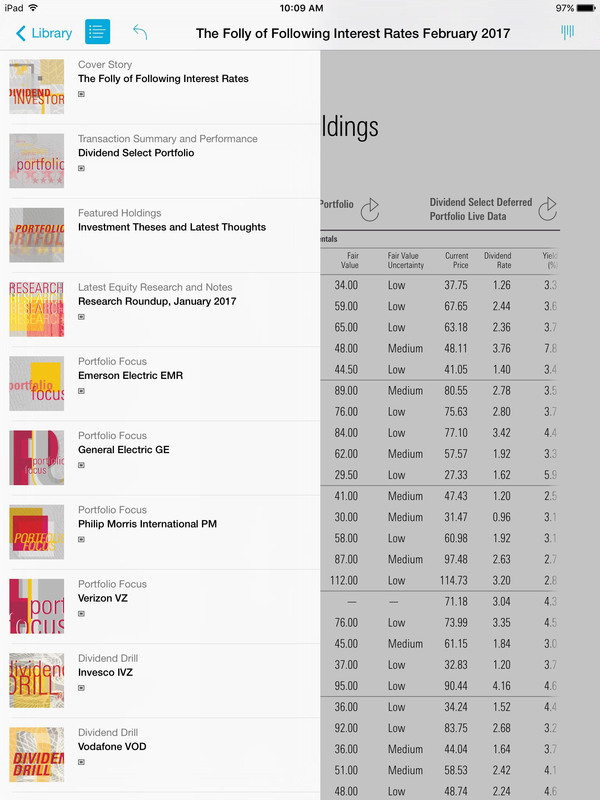 Morningstar DividendInvestor for iPad is included as part of your paid subscription. Start an annual digital subscription for only $189 and get the iPad edition for free. Link to current US stock data and analyst reports for DividendInvestor’s portfolio and watchlist holdings. Receive immediate notification of trades, watchlist news, and issues. Access to your issue library is at your fingertips for quick reference and offline reading. Change screen orientation and bookmark/organize your favorite articles within each issue for future reference. 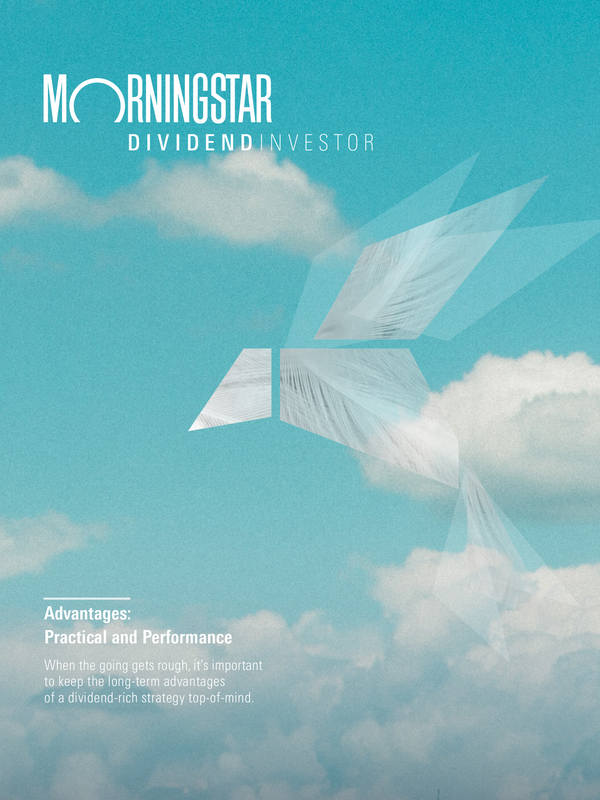 A subscription to Morningstar DividendInvestor offers a number of valuable benefits including free access to the new iPad edition. 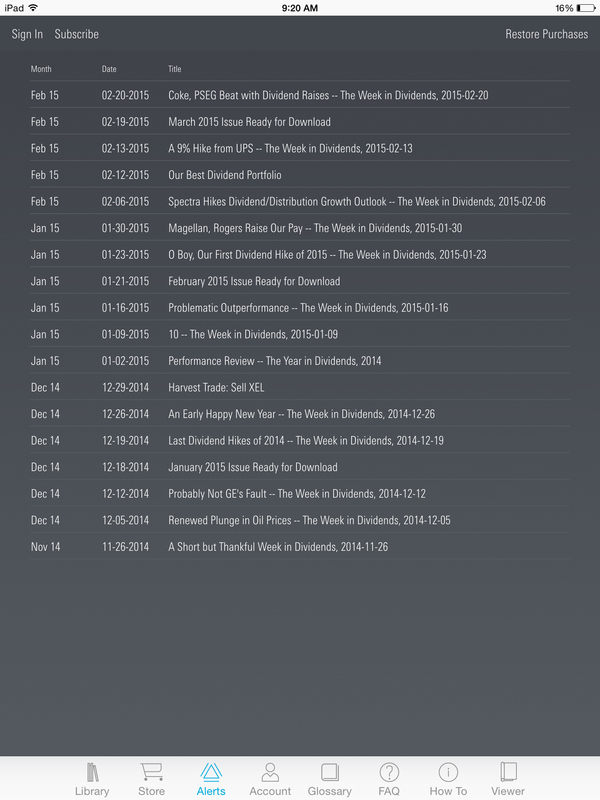 Current DividendInvestor subscribers have free access to each month's iPad edition. Follow these steps to download the app and current issue. I have a newsletter subscription to Morningstar DividendInvestor. Does it include access to the iPad edition? Yes, access to the iPad edition is included as part of your current newsletter subscription. You can download the app for free from the App Store. I am a current newsletter subscriber. How do I access DividendInvestor on my iPad? Tap the “Sign In” icon located in the top left corner of the screen within the app. There are two ways to access the app. 1. If you are already a subscriber to the online product, sign in using your existing email address and password. 2. If you are a print subscriber, tap “Create an Account” and fill out the required fields. Then sign in to the app using what you have created. I tried to create a login using my email address, but I received an error message that said "This email address is already registered." You may have already registered for Morningstar DividendInvestor’s online product. Sign in to the app using that email address and your Morningstar password. I don’t remember my password. Can I reset it? Tap the “Forgot Password” button on the “Account” page found at the bottom of the screen. After you enter your email address, you will be sent instructions on how to reset it. I have downloaded all the available issues and would like to delete some. Go to the Morningstar DividendInvestor library; from there tap on “Archive”. The covers will remain but the content will be deleted. You may re-download issues at a later time. I have purchased my subscription through iTunes and have lost my access. How do I restore my purchases? You can restore them by tapping on the “Restore All Purchases” button on the “Account” page found on the bottom of the screen. ©2019 Apple Inc. All rights reserved. Apple, the Apple logo, iPad, iTunes, the iTunes logo, Mac, and QuickTime are trademarks of Apple Inc., registered in the U.S. and other countries. Multi-Touch is a trademark of Apple Inc. App Store is a service mark of Apple Inc. IOS is a trademark or registered trademark of Cisco in the U.S. and other countries and is used under license. Other product and company names mentioned herein may be trademarks of their respective companies.